My friend CL sent me a skein of this for my birthday & I love it. It’s on my list of new projects when I finally clear my outstanding WIP’s & I’m planning on making felted boxes for family this Christmas. Plus I bought an extra two skeins of Redwood to make socks for myself but now wish I’d got the Hawaii instead as the colours are so pretty. This choice was again influenced by Christmas presents from CL. She sent me Gloss in Concord Grape which is absolutely beautiful. I also liked the burgundy but already have some Regia Silk in burgundy from my Secret Pal 6 Yvonne which I love (and it keeps waving at me when I go up into the loft) so didn’t want to get the same colour again. 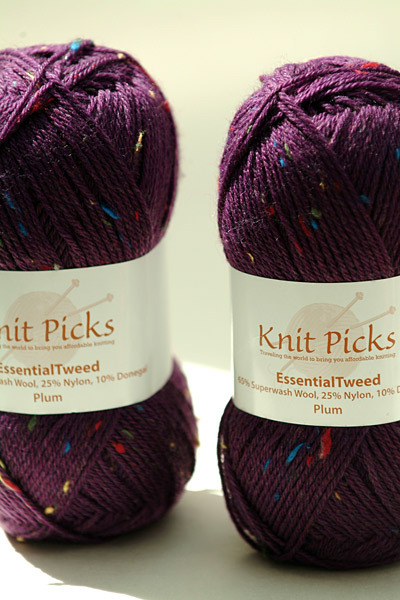 We were allowed to order up to $70 worth of yarn, needles & patterns which equated to about £35. I kept my order under £32 to avoid any customs charges & therefore also avoided the £8 handling fee charged by Royal Mail. Plus I didn’t get charged any VAT which was a bit of a surprise. 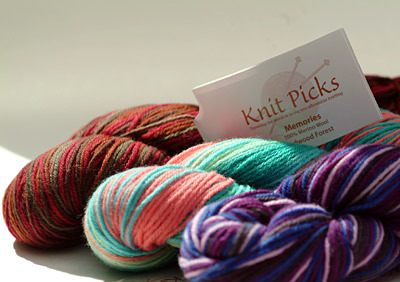 The actually shipping was very swift & the yarns are beautiful but I just wish they had more adventurous colours. 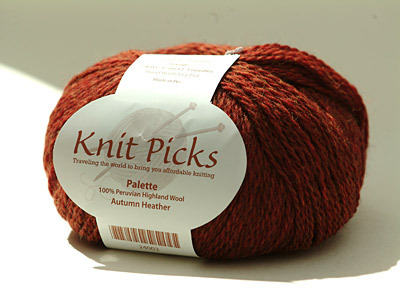 ETA: I’ve just noticed that they sent me Autumn Heather rather than Salsa Heather in Palette. >You lucky bugger! I’m vvv jealous 🙂 I have a US source for yarns, and am loving Knit Picks stuff. The Andean Silk is worth a try some time (a bit like a Debbie Bliss Cashmerino copy, but in alpaca instead, so feels sturdier). All those yarns are just lovely. >You’ve got yourself some lovely stuff there! I’m a bit of a KP fan, myself. 🙂 I agree with you that they could offer some livelier colours though. 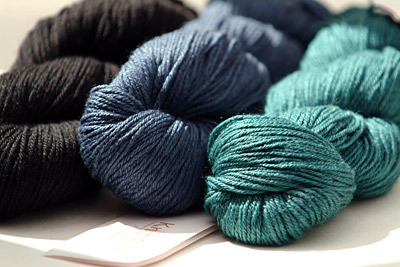 I liked the striped sock yarn they discontinued, and though I’ve noticed there’s a new line they’ve started, most of the colourways don’t grab me. >Lucky Lucky Lucky!!! They looks truley gorgeous!!! Hope they give Australia a go too! >Oooh wow, hope they do end up selling to the UK, looks like lovely stuff! 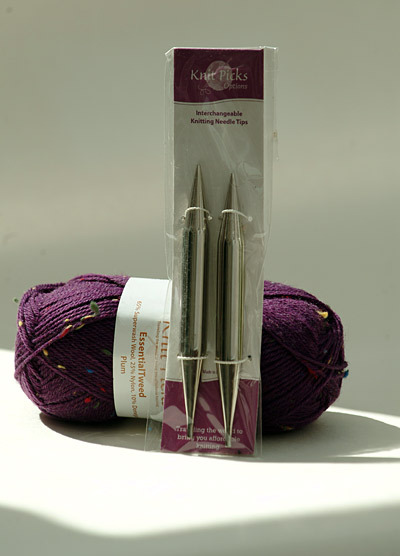 My friend flew in from New York last weekend with my Options set – and they’re totally fab! >Crumbs, you were lucky with customs. Its £32 for a gift and £18 for commercial…….guess how I found that out? Yup, a painful experience. I must be the only person who isn’t interested in their circs though, but I’m not a metal fan and only use circs when I need to. I hope the trial is a success too though, it is unusual for a large company not to ship internationally these days.